You are here: Home » Utilities Update: Tama County, Iowa has the best rural water in the USA? Utilities Update: Tama County, Iowa has the best rural water in the USA? 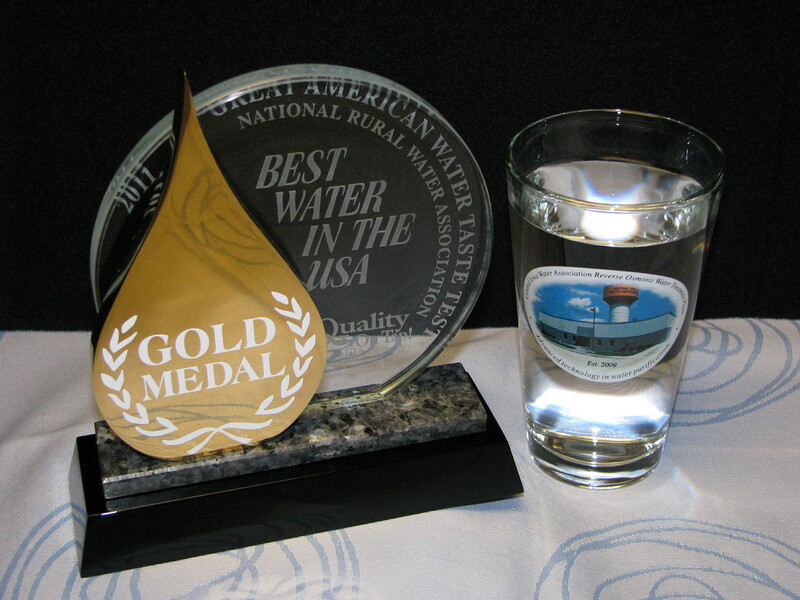 After a series of taste tests and examinations, the winner of the Great American Water Taste Test was announced on February 9 at the 2011 National Rural Water Association Rally in Washington, D.C. Central Iowa Water Association won the gold medal award and title of the best tasting rural water in the USA. Silver medal went to the City of Pocomoke, MD, and bronze went to McNulty Water of Saint Helens, OR. Each sample was judged on clarity, bouquet and taste. “The water quality award represents the commitment we have made to provide the best quality, safe drinking water to families in north central and northeast Iowa,” explains Water Supply/Treatment Manager Dan McGinnis. Central Iowa Water can be found in the West and Northwestern portions of rural Tama County. You can also connect to their water within the city limits of Garwin (bulk water community), Lincoln (franchise community & waste water services) and Gladbrook (emergency connections). 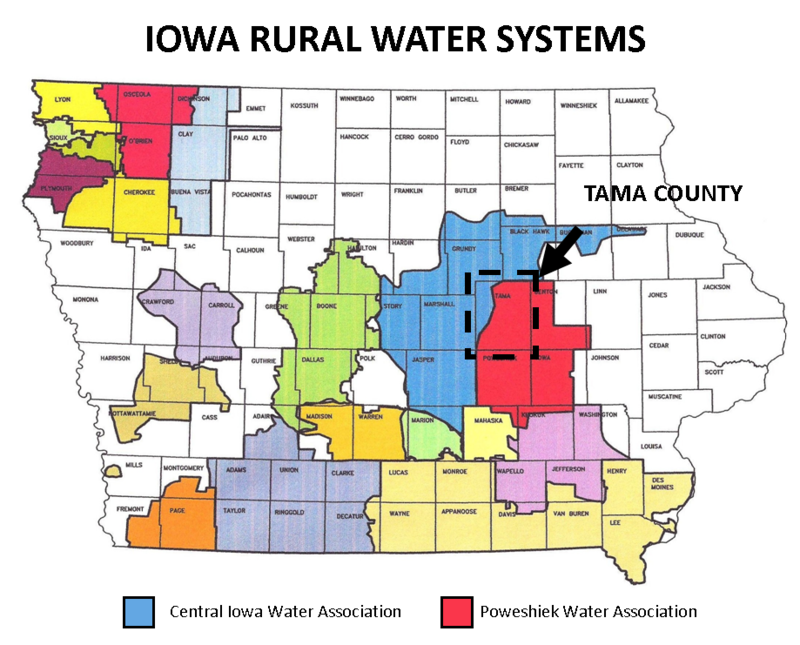 The remainder of Tama County rural water is served by Poweshiek Water Association with whom Central Iowa Water shares an interconnection in case of emergencies. Poweshiek Water Association is also an official sponsor of the Tama County Entrepreneurship Trust and the inspiration behind clear, fresh development with bottled water at Economic Development sponsored leadership meetings. Thank you to both Central Iowa Water and Poweshiek Water for your contributions to making Tama County a Great Place with excess water capacity for future development. ← Workforce 101: What insight does “unemployment” REALLY reveal about our economy?